OUR PRICE: $26.40 - Join Rewards Get $1 Dance Dollars On This Item! Steal the spotlight with a bag that's both beautiful and practical. 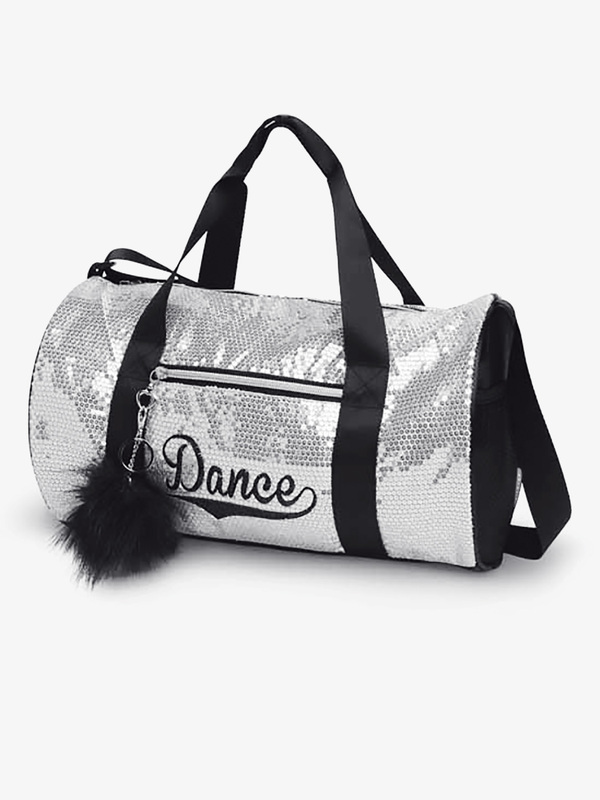 Bag has 2 outside pockets, including 1 front zipper and 1 side mesh pocket with "Dance" embroidered on front. Heart zipper pulls with pompom key chain. 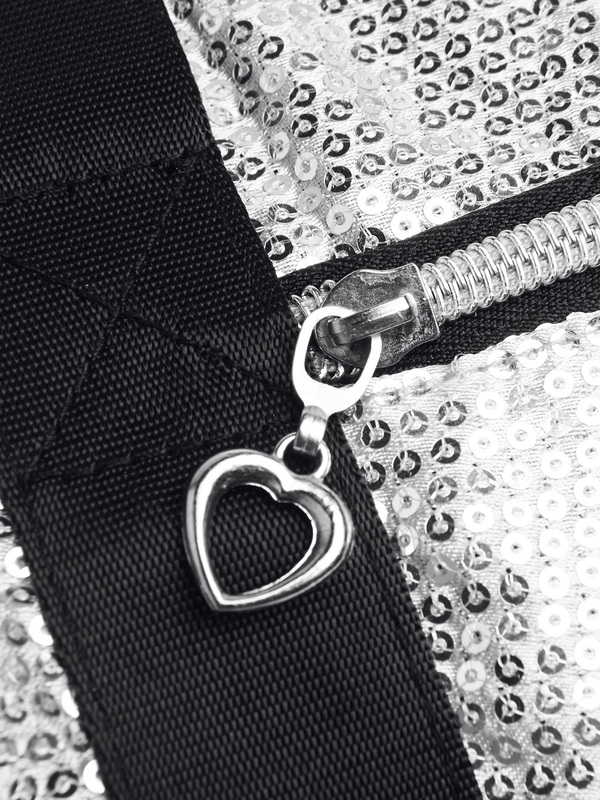 Includes an adjustable shoulder strap and water repellent inner lining.